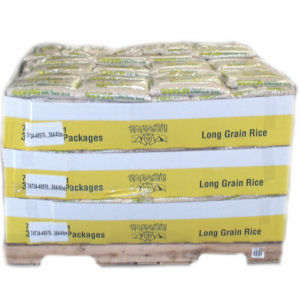 384 bags of 4 pound Faraon Long Grain Rice. This is the perfect display ready pallet that will keep everyone happy. Faraon is the best long grain rice in the market and our convenient pallet display allows for labor savings that can be passed on to happy consumers.